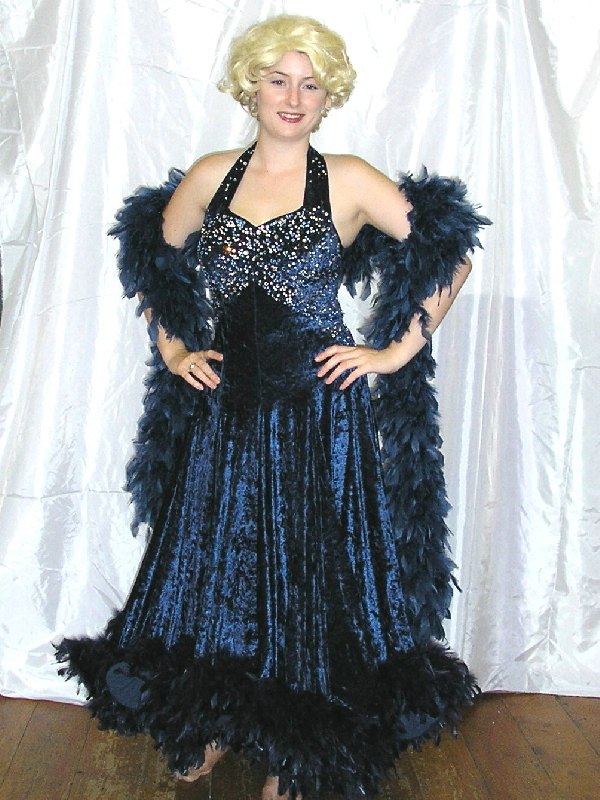 Long feathered Ballroom dancer gown. Comes with feather boa and optional wig and/or shoes. 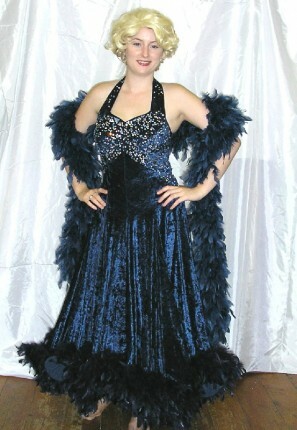 Great for a Celebrity, Hollywood or vegas themed party.